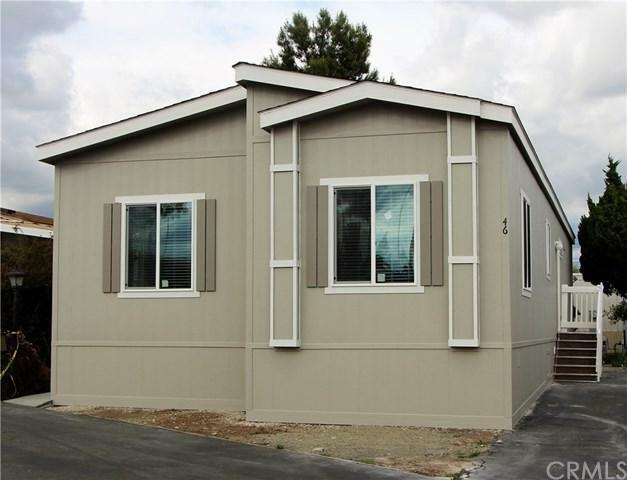 Brand New Manufactured Home located in Upland in an All Age Community. 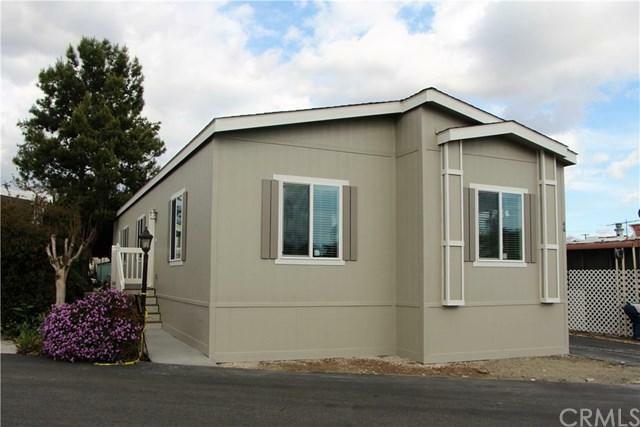 This spacious 1,344 sq ft (approx.) 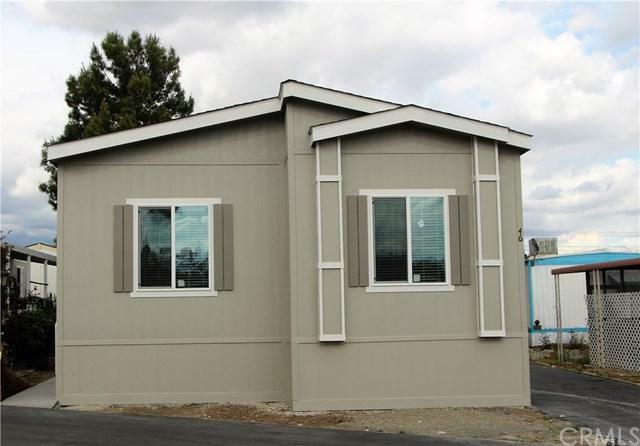 home features 3 bedrooms, 2 bathrooms, with separate laundry room. This is an open floorplan with a large living and dining room with direct access to the kitchen. The 9' ceilings make the home feel even larger. The kitchen upgrades include: white hardwood cabinets with Sierra Cascade laminate counter tops, kitchen island work center with pendant lights, and recessed, canned lighting. The appliances are by Whirlpool and include: gas range, 21.7 cu ft side-by-side Energy Star refrigerator with ice/water dispenser in door, dishwasher, and garbage disposal. There is carpet in bedrooms and waterproof laminate vinyl plank flooring throughout the remainder of the home. 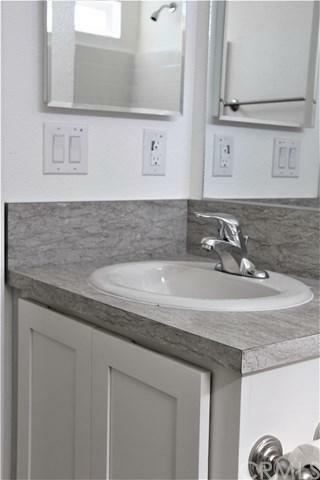 Some Additional Features: Master bath has a 60+G- walk-in shower, shelves for linen storage, walk-in closet in master bedroom, 2+G- faux wood blinds throughout, air conditioning and shed.